Apple today released the first beta of an upcoming iOS 11.3 update, and it introduces quite a few new features, including several major changes and a long list of smaller tweaks. iCloud Messages, a long-promised feature has finally made its debut in iOS 11.3, and there are new Animoji, new ARKit tools for developers, and tons more. In the video and post below, we've outlined all of the new features that we've discovered in the iOS 11.3 beta so far. Ahead of the release of the first beta, Apple outlined many of the upcoming changes in iOS 11.3 in a preview that explains the new features and lets users know what to expect when the update is released to the public this spring. 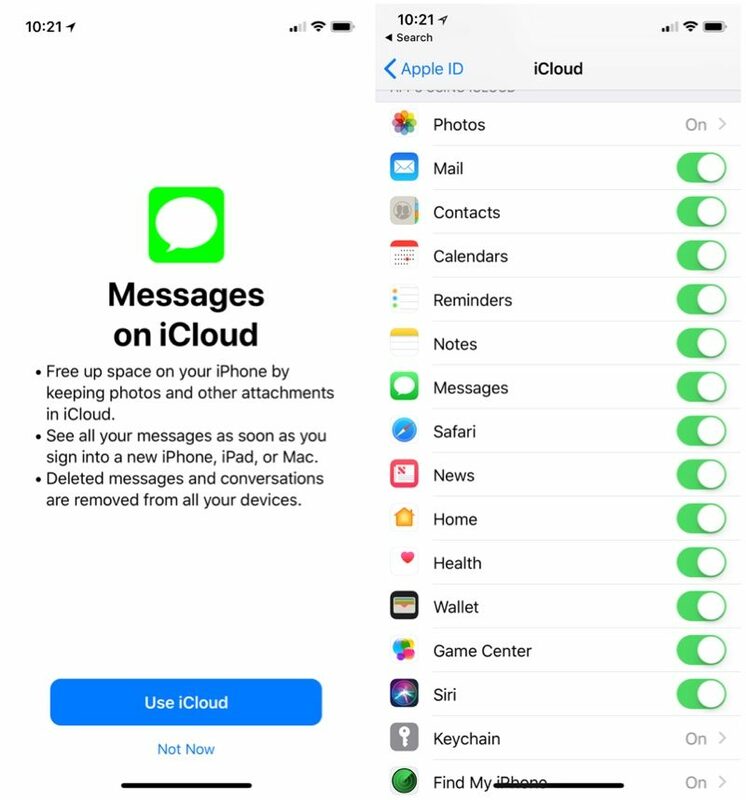 iCloud Messages is a feature that was highlighted as a key new iOS 11 component when the operating system was introduced at the June Worldwide Developers Conference, but it was pulled from the iOS 11 update while it was still in beta testing and was not reimplemented before iOS 11's September launch. Apple said the feature would return in a future update, however, and it appears iOS 11.3 is that update. When opening up the Messages app after installing iOS 11.3, you'll be prompted to turn on "Messages on iCloud." Messages on iCloud will free up space by keeping photos and other message attachments in iCloud, plus it will sync your messages across all of your devices -- even new ones. If you have two-factor authentication and iCloud Backup enabled, Messages on iCloud is automatically enabled. iOS 11.3 introduces four new Animoji, which are the little animated characters that mimic your facial expressions and voice using the TrueDepth camera. Animoji are limited to the iPhone X, but iPhone X owners with iOS 11.3 will be able to access dragon, bear, skeleton, and lion Animoji, bringing the total number of available Animoji to 16. For developers, iOS 11.3 introduces ARKit 1.5, an upgraded version of ARKit that can more accurately map irregularly shaped surfaces and recognize and place virtual objects on vertical surfaces like walls and doors. The prior version of ARKit was not able to detect vertical planes. 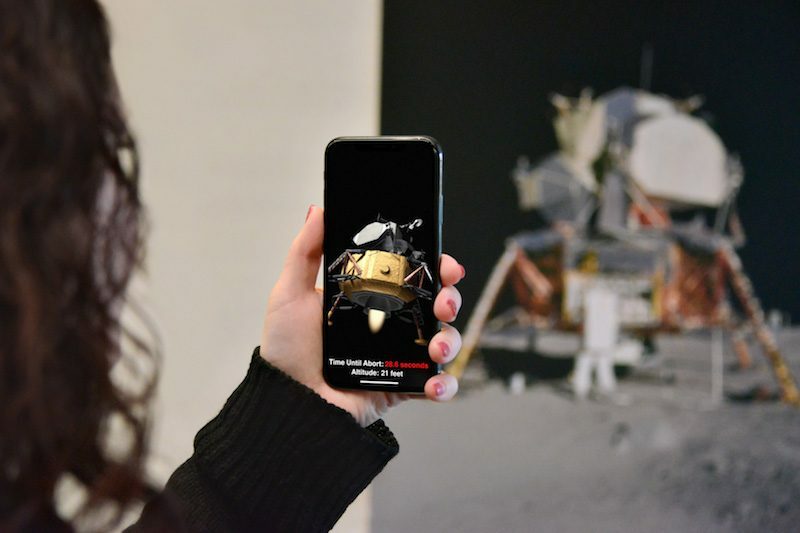 With ARKit 1.5, augmented reality apps can recognize the position of 2D images like signs and posters, integrating these images into AR experiences like interactive exhibits in a movie theater or a movie poster that comes to life when you view it. ARKit 1.5 also supports 50 percent greater resolution (1080p instead of 720p) and it now works with auto-focus. 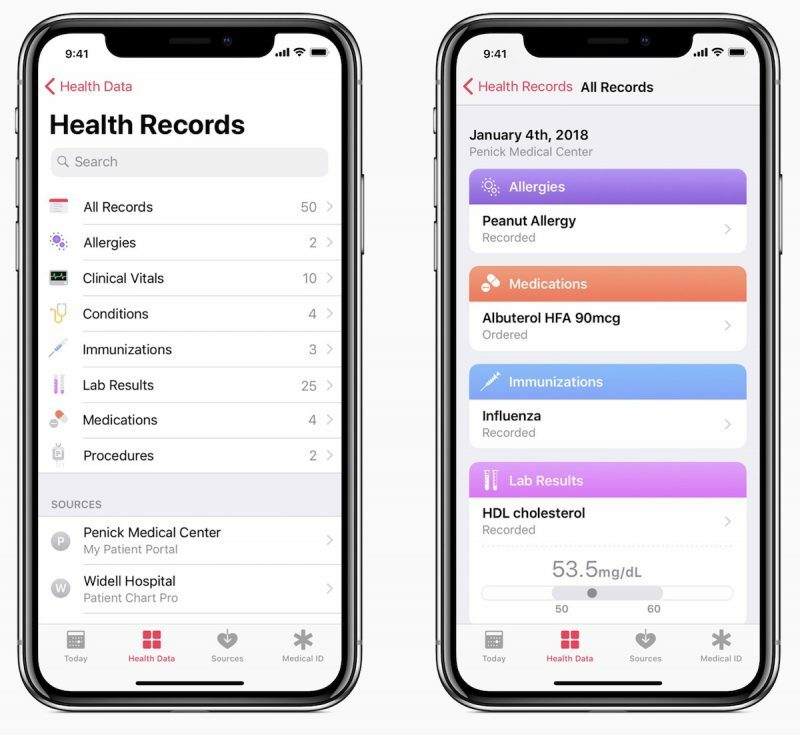 Apple has worked with several hospitals, clinics, and medical providers to add a "Health Records" feature to the Health app. Health Records is designed to aggregate all of a person's medical records in one easy-to-access spot in the Health app. Health Records can store data from multiple participating medical institutions, and it can provide users with notifications when lab results and prescriptions are available. Apple says all Health Records data is encrypted and protected with a passcode. Participating medical providers include Supported providers include Johns Hopkins Medicine, Cedars-Sinai, Penn Medicine, Geisinger Health System, UC San Diego Health, UNC Health Care, Rush University Medical Center, Dignity Health, Ochsner Health System, MedStar Health, Ohio Health, and Cerner Healthe Clinic. Apple says additional medical facilities will connect to Health Records in the future. In addition to these major features highlighted by Apple, there are also several other smaller tweaks and changes that have been made to the iOS operating system in iOS 11.3. - Apple News - Apple News will now offer a list of the top videos of the day in the "For You" section, and the algorithm that displays the top stories in the For You section has been improved. - HomeKit - iOS 11.3 introduces official support for HomeKit software authentication options, which will allow developers to add HomeKit support to many existing accessories. 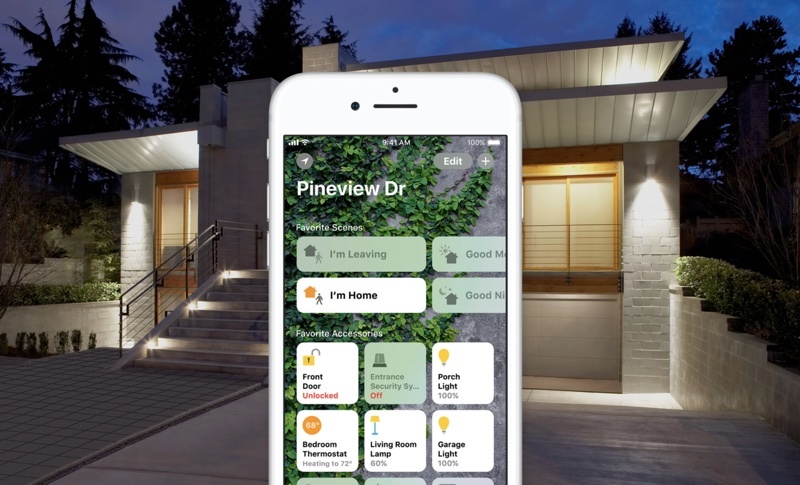 Until software authentication was available, developers were required to meet Apple's HomeKit specifications through hardware, limiting HomeKit's backwards compatibility with existing devices. - Emergency Calls - Support for Advanced Mobile Location (AML) has been introduced in iOS 11.3 to automatically send a user's precise location over GPS or WiFi when making a call to emergency services. AML requires carrier support and it is not available in the United States. It does, however, work in the United Kingdom, Estonia, Lithuania, Austria, Iceland, and New Zealand. - iBooks - The iBooks app has dropped the "i" and it's now known as just "Books." 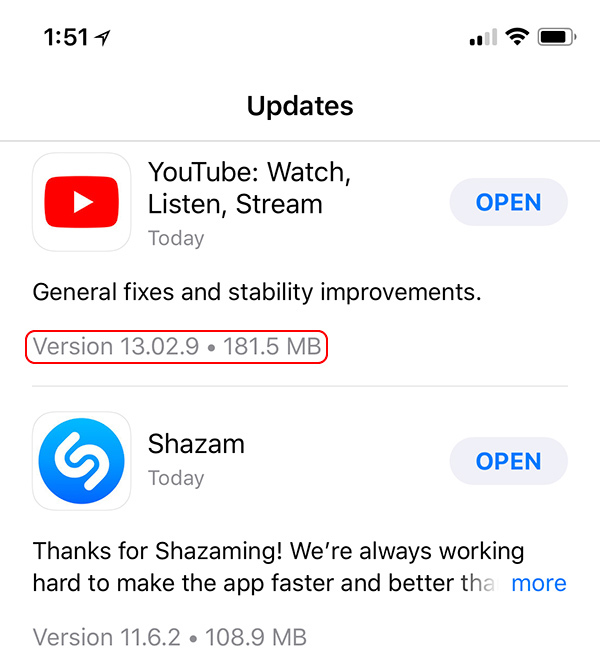 - App Store updates - In the App Store's "Updates" tab, the version number for each app and its installation size is now listed right under the app's name, both for updates that have already been installed and updates that are available for download. - Face ID side button - On the iPhone X, when you install an app in the App Store, there's now a little animation that instructs you to double press the side button to confirm the installation. This animation is also present whenever you need to press the side button, such as when you confirm an Apple Pay payment. 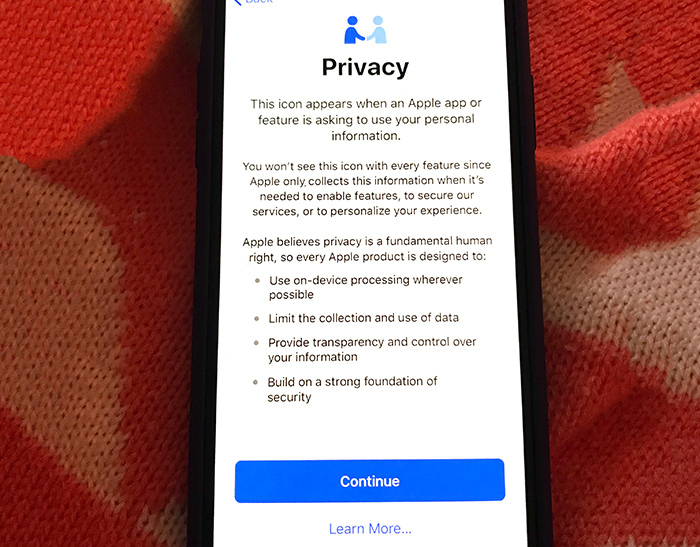 - Privacy screen - When go through the device setup process after installing iOS 11.3, there is a new Privacy screen and icon, which explains that you'll see the icon whenever an Apple app or feature asks to use your personal information. 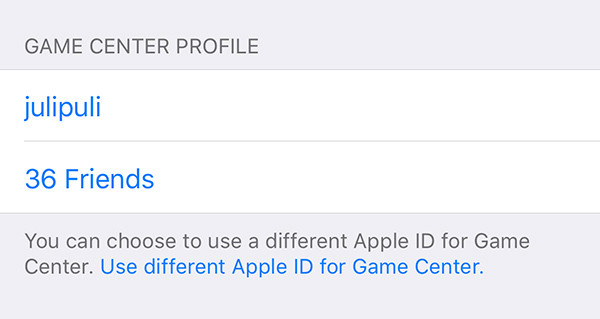 - Game Center - In Game Center, you're now able to manage your Game Center friends and remove individual people. Prior to this update, you could only remove all game center friends in one go. 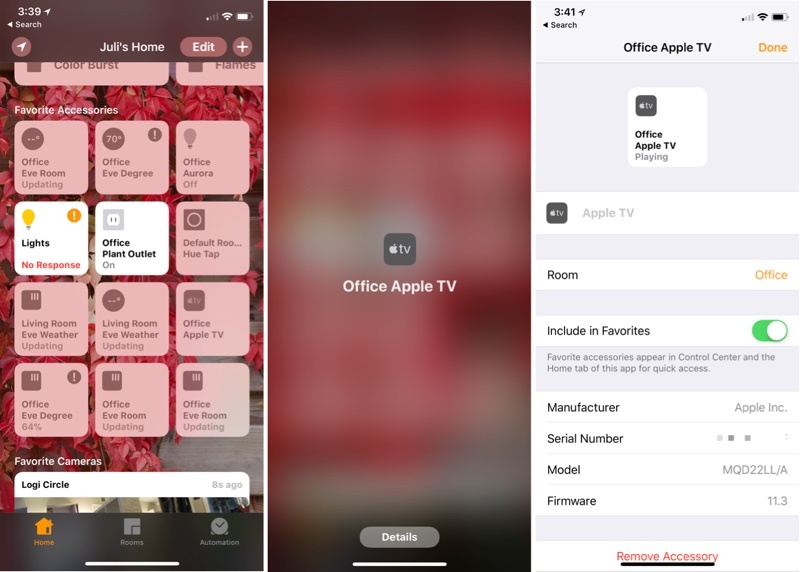 - AirPlay 2 - There are some AirPlay 2 features built into iOS 11.3 and tvOS 11.3, which allow music to be controlled on multiple Apple TVs using an iOS device once the updates have been installed. Face ID Family Purchases - In the iOS 11.3 beta, you can approve family purchases using Face ID, a feature that wasn't previously available. App Store Review Sorting - In the iOS 11.3 beta, App Store reviews can be sorted based on Most Helpful, Most Favorable, Most Critical, and Most Recent. Apple outlined several features that are coming to iOS 11.3 but haven't been implemented as of yet. The update should provide a lot more data about battery health, and there will also be an option to let customers turn off the power management feature entirely, though Apple does not recommend disabling it. 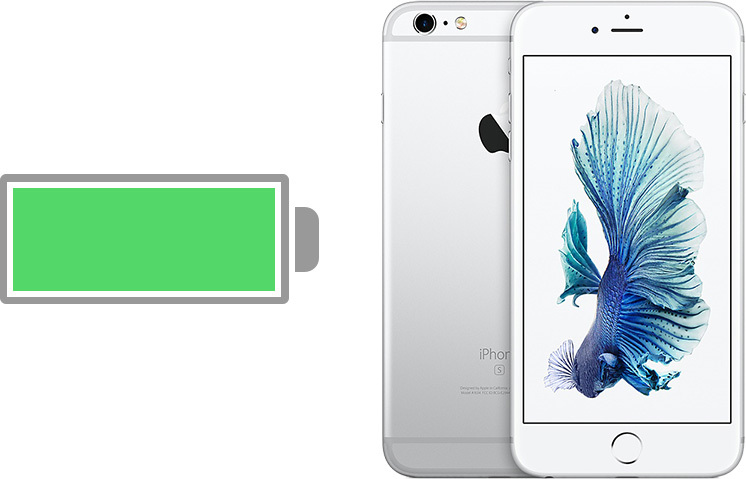 The new features will be available in Settings -> Battery and are available for iPhone 6 and later. Business Chat is designed to give iPhone and iPad users a way to communicate directly with businesses using the Messages app. Business Chat will launch in a beta capacity when iOS 11.3 becomes available to the public in the spring. Select businesses will support the feature at launch, including Discover, Hilton, Lowe's, and Wells Fargo. 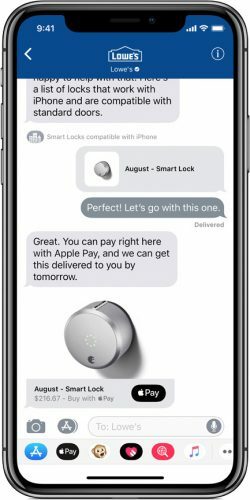 Business Chat will let you have a conversation with a service representative, schedule appointments, and make purchases using Apple Pay in the Messages app. Your contact information is not shared when you use Business Chat, and you can end a chat at any time. Apple is planning to introduce some improvements to music videos in the Apple Music app. According to Apple, Apple Music "will soon be the home for music videos." Users will be able to stream all the music videos they want without ads, and they'll also be able to view and create music video playlists. According to Apple, iOS 11.3 will be released to the public in the spring, which means we're going to see an extended beta testing period. Technically, "spring" kicks off on Tuesday, March 20, so the beta will be in testing throughout the entire month of February and much of March. That will let Apple iron out the bugs to make sure things like iCloud Messages are running smoothly ahead of launch. While iOS 11.3 is currently limited to developers, Apple plans to make a public beta available for public beta testers in the near future. This is a solid update. I am excited for iMessage in the cloud! I wish they added the ability to sort the appstore reviews by either rating or date instead of the f.. up system that makes no f.... ing sense. iBooks - The iBooks app has dropped the "i" and it's now known as just "Books." Why iBooks would change his name to Books? Bugs? I remember they trademarked the name of iBooks, why would they change now? It’s annoying when apps have completely generic names (“TV” for example, or “Music”). When you try to google issues with those apps, it can be difficult since the name is just a generic word. Searching for help with Apple Photos will often get you stuff about the iPhone camera, etc. I wish they had distinctive names for their apps is what I’m saying. Ok, I know this is stupid, but I can’t help myself. Does this mean Messages will be on iCloud.com as well? I would love to have this on my Windows work PC. Why are they adding new features to a dot release? The whole point of annual updates was to add new features at that point then use the subsequent dot releases to fix any bugs and iron out any problems so that we had a stable release in time for the new iPhone. The current situation is ridiculous. One unstable release after the next with constant problems. This precisely why I switched from Window to Mac in the first place. Actually, the whole point of release is ostensibly to have a continuously evolving feature set. We already complain about Apple taking 'forever' to implement things that everyone else is doing. If they are limited to once/year it will never happen. The single most important update IMHO is the software-only HomeKit support. This should allow multiple existing smart devices to compatible with just a software update. Phew, I sure hope that never happens.